Moments of Mommyhood: Sidewalk Paint! This looks fun, easy, and like something my kids will really enjoy - thanks for sharing! This looks fun! Does it wash off just like chalk? so fun! can't wait to try it. Sounds like fun, I am going to give this a try. My daughter will love it. Thanks! We love this too! Our weather hasn't been so great lately however. :( So not muc chalky things happening. Thanks for paint recipe! I'll have to give this a try! Oh, I love this! Thanks for the "recipe"
My kids would love that! Looks like fun! Thanks! :) Happy WW to ya! What a great idea! I am going to have to file that away to use when Caden is old enough! Oops I forgot to tell you-Go check out my blog and sign up for my giveaway! We are doing this tomorrow!! Love this idea. Thank you. What a great idea! Is it easy to get off of the kiddos??? This is definitely something I want to try--if it ever stops raining. My boys love this and we make it al summer long! Looks like a fun time for all! My kids have been writing all over my driveway with chalk this week. We love sidewalk chalk. I blogged about all the ways we use it. I am going to try your recipe. My daughter would love that. I work in daycare - this is an awesome idea. Love the muffin tin breakfast too! This looks like a lot of fun! Can't wait to try it! Thanks for the GREAT idea. My kids are loving me right now! Thanks for the great idea! Will have to try this one with my kiddos! I had this on my 2009 post of things I just did't get to but wish I did. We are trying it out today. can't wait. Also just became a follower can't believe I wasn't before! This is a great idea! 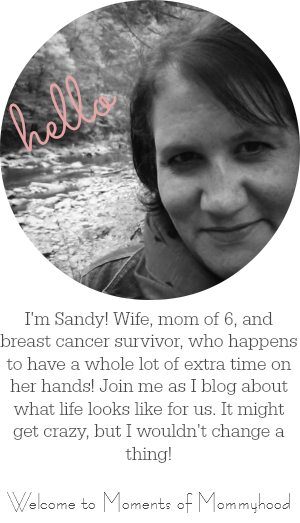 I am excited to find your blog and to follow along! does this wash off of the sidewalk easily?